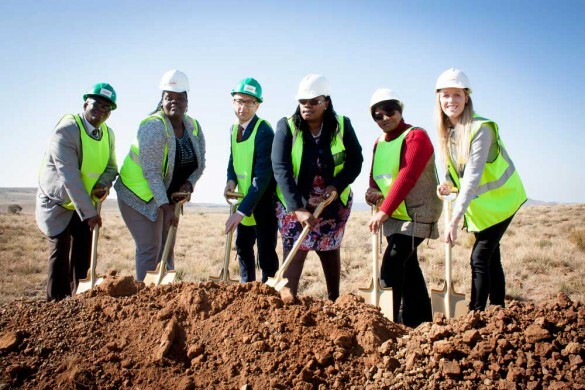 The project is ideally located with a great wind resource and it is situated 11 km from the Eskom 132kV overhead line which the wind farm will loop into. Furthermore, the site offers favourable construction conditions and is close to national roads so the wind turbine components can be transported easily. When completed, the 80MW Wind Farm will comprise 35 wind turbines. The turbines will be supplied by world-leading manufacturer Siemens Wind Power, with the 99m turbine towers to be the first manufactured at the new Gestamp Wind Turbine Tower Factory in Atlantis, Western Cape. The blades, hubs and nacelles that compose the wind turbines, will arrive via the N10 from the Port of Ngqura, in Coega, while the towers will be routed along the N1 from Atlantis. Delivery of the turbines is due to commence in October this year. “Projects, like the Noupoort Wind Farm, that harness wind power – a sustainable free renewable energy source – are beneficial not only to the environment but to the surrounding communities, economy and country as a whole,” concludes Flanagan. Energy from the wind can be converted into other forms of energy.